Is it too late to sell my home by Christmas? Now the kids are back to school and the nights are drawing in. As the seasons change we look ahead to autumn, Halloween and bonfire night. At the time of writing, Christmas is 16 short weeks away. That’s less than four months to try and find a half-decent present for your Auntie Viv, whip up a plethora of seasonal stuffings, and try to resolve the family arguments still blazing since last year’s turkey dinner. And you were hoping to get the house sold too!? It’s important to set a selling timescale that suits you. Every sale is different, and there’s no hard and fast rule about how long a sale will take. But, we recommend allowing about 12 weeks from putting your property on the market, allowing time for viewings, offers and conveyancing. So those 16 weeks before Christmas may not be as insurmountable as they first seemed. Getting great photos makes your property stand apart from the competition. Take advantage of the last of the summer sun and blue skies, and your home will look stunning. Remember, at Your Move we use professional photography for our property listings. Homes with professional photography receive 4 times more enquiries than those without*. Our website statistics show lots of activity through September. That’s buyers visiting our site to look at property to buy. These visits really start to tail off as we move towards December, before shooting back up in January. So if you want to sell before the end of the year, getting the property on the market in September is your best bet. We come with thousands of potential buyers. We give you comprehensive online coverage on Rightmove, Zoopla, your-move.co.uk (which is the most visited agency website in the UK) and over 60 other property websites. We give you outstanding property marketing including professional photography and online premium listings. 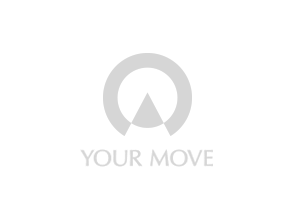 You’ll be regularly updated by phone and email and you’ll have access to an online My Move file.